The SWOMP 23 is a great all-around motor that's economical and easy to handle, yet provides some serious power to get you moving in tough conditions. If you are interested the SWOMP 23 long tail mud motor, contact us today. Skid plate handle mount protects engine base and ties together the handle and drive train. Revo-Clean Bearing System keeps debris out. Surface Tracer cavitation plate - Provides added speed, easier handling, and shallower running. - 360 degree swivel with two safety locks and travel lock. Prop can turn into the boat for transportation. 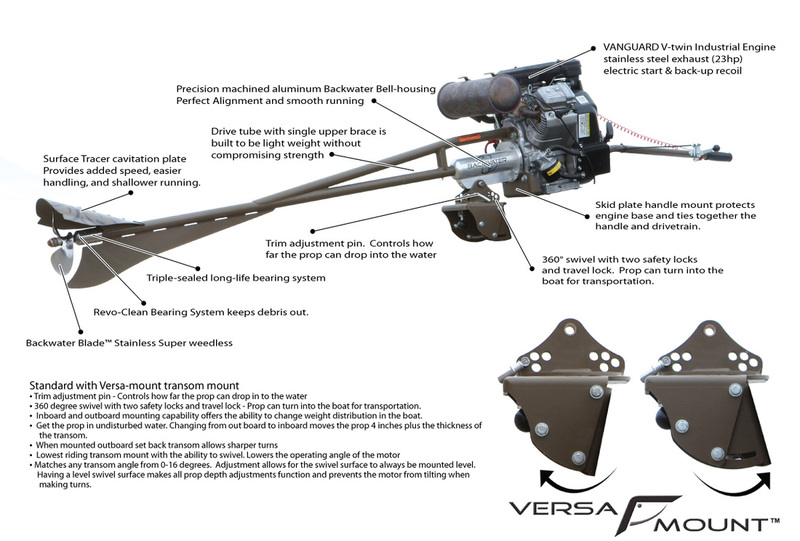 - Inboard and outboard mounting capability offers the ability to change weight distribution in the boat. - Matches any transom angle from 0-16 degrees. Adjustment allows for the swivel surface to always be mounted level.